Seborrheic dermatitis is a papulosquamous disorder patterned on the sebum-rich areas of the scalp, eyebrows, eyelids, nasolabial creasdes, lips, ears, sterna area, axillae, submammary folds, umbilicus, groins and gluteal crease. This dermatitis is linked to Malassezia furfur(pityrosporum ovale), immunologic abnormalities, and activation of complement. Its severity ranges from mild dandruff to exfoliative erythroderma. The common name for seborrheic dermatitis is dandruff. In babies, it’s called cradle cap. That red, itchy rash on scalp that has flaky scales could be seborrheic dermatitis, or seborrhea. It’s a common skin disease that looks similar to psoriasis, eczema, or an allergic reaction. And it can appear on body as well as scalp. Seborrheic dermatitis affects all ages. Seborrheic dermatitis is highly treatable but incurable. Malassezia organisms are probably not the cause of seborrheic dermatitis but a cofactor linked to a T-cell depression, increased sebum levels, and an activation of the alternative complement pathway. Various medications may also flare or induce seborrheic dermatitis. It doesn’t come from an allergy or being unclean. Sometimes, seborrheic dermatitis will clear up by itself. More often, it’s a lifelong issue that clears and flares. It can last for years at a time, but patient can usually control it with good skin care. Low-potency topical corticosteroids, such as hydrocortisone, desonide, and mometasone furoate, have shown to be efficacious on the face. 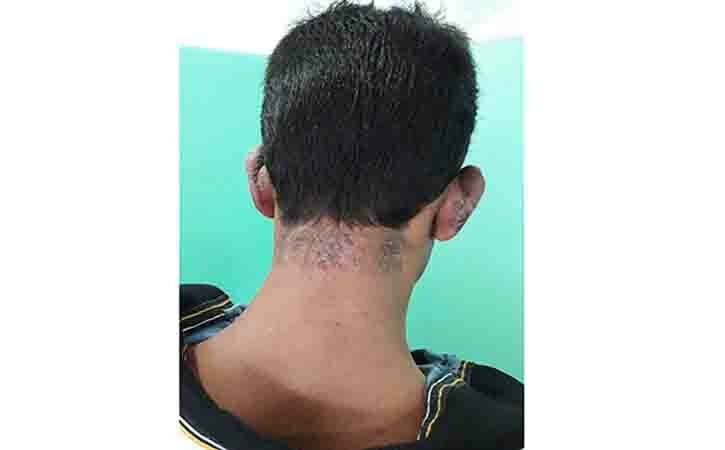 Topical steroids have been associated with the development of telangiectasias and thinning of the skin. Although the levels of Malassezia yeast do not correlate with the severity of seborrheic dermatitis, antifungal therapies are first-line therapies.Ketoconazole, naftifine, or ciclopirox creams and gels are effective therapies.Alternatives include calcineurin inhibitors (ie, pimecrolimus, tacrolimus),sulfur or sulfonamide combinations, or propylene glycol.Class IV or lower corticosteroid creams, lotions, or solutions can be used for acute flares.Tea tree oil has been reported to benefit the condition.Systemic fluconazole may help if seborrheic dermatitis is severe or unresponsive.Combination therapy has been recommended. Dandruff responds to more frequent shampooing or a longer period of lathering. Use of hair spray or hair pomades should be stopped. Shampoos containing salicylic acid, tar, selenium, sulfur, or zinc are effective and may be used in an alternating schedule. An alternative to a shampoo with zinc is a conditioner rinse with zinc, 0.01% fluocinolone, and acetonide topical oil. Overnight occlusion of tar, bath oil, or Baker’s P&S solution may help to soften thick scalp plaques. Derma-Smoothe F/S oil is especially helpful when widespread scalp plaques are present. Selenium sulfide (2.5%), ketoconazole, and ciclopirox shampoos may help by reducing Malassezia yeast scalp reservoirs. 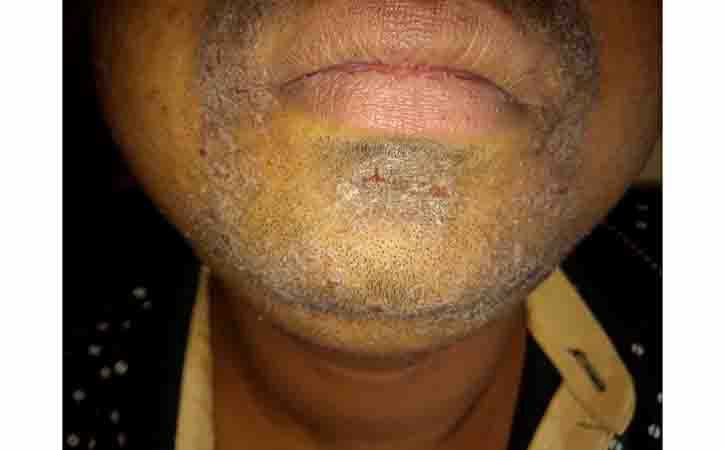 Shampoos may be used on truncal lesions or in beards but may cause inflammation in the intertriginous or facial areas. Systemic low-dose isotretinoin taken by mouth has been reported to benefit severe seborrheic dermatitis. Metronidazole 1% gel has been evaluated, with inconclusive results for the treatment of seborrheic dermatitis of the face. Some suggest using a nonsteroidal cream such as pimecrolimus; patients have reported improvement of up to 80%.Bikowski recommends azelaic acid. Seborrheic blepharitis may respond to gentle cleaning of eyelashes with baby shampoo and cotton applicators. The use of ketoconazole cream in this anatomical region is controversial. A dandruff shampoo could irritate baby’s scalp. To soften thick patches first, rub mineral oil onto the area and brush gently with a baby hairbrush to help peel the scales off. Because it can look like other skin conditions, need to visit a doctor to get a analyze and start the right treatment. 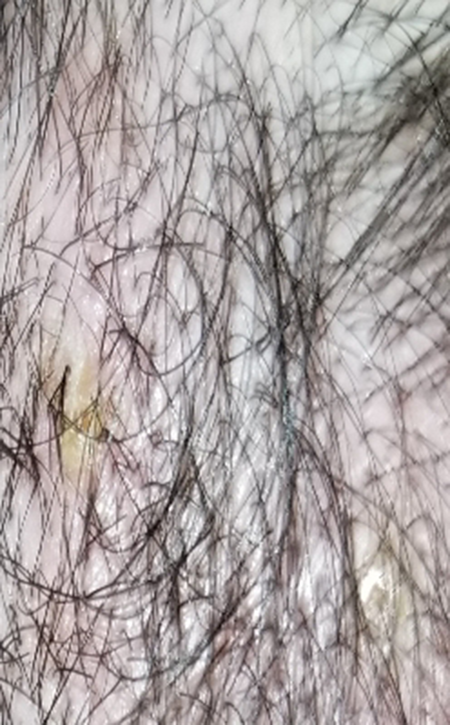 The dermatologist will ask about medical history and look at the skin. Patient may need tests if the doctor thinks it’s related to another medical condition. For infants with cradle cap, shampoo their scalp daily with warm water and baby shampoo. If that doesn’t help, talks to pediatrician about medicated shampoos before try one.